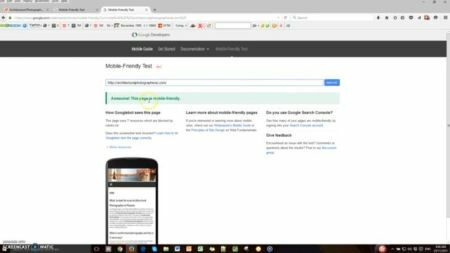 One of the ways to check if your website is mobile responsive is by using Google mobile-friendly test. A change to how Google ranks your site now includes whether or not your website is mobile responsive. So if your site is not mobile responsive, Google can penalise your site in search results. to see how Google views it, go to https://search.google.com/test/mobile-friendly. After entering the URL of your website and running a text, it will tell you whether or not your page is mobile-friendly. NB. these checks only test the page you enter. Other pages may not be mobile-friendly. If you are using WordPress, the easiest way to upgrade your site to be mobile responsive would probably be to update its theme. Pretty well all new themes are mobile responsive, as well as having other additional benefits for speed, security, and a more modern look and feel. Upgrading an old theme to be mobile responsive can be done, but it is very time-consuming and complex, and as such, it is recommended to simply update your theme to a new one that is responsive. However because themes have different formatting layouts and functionality, updating your theme may cause your site to look and perform differently, so care is advised. This can take quite a bit of time to get it looking and behaving in the way you would like. If you employ a website expert to do this for you, they will ensure that there is minimal impact to visitors to your site. They generally do this by taking a copy of your site and installing it somewhere else (eg. on a development server, or to a hidden area on your existing site), then make all the changes in the background (on the copied version of your site), make sure it is all working well, and to your satisfaction, and then copy the new updated version back to your original domain. This way, visitors to your site won’t see the site during the update, while formatting may not be finalised. If this is something that you need a hand with, please feel free to contact us and we can have a chat about how we can help you. Click here for more details. Check out the video below for more information. This video was recorded on an older version of the Google Mobile-Friendly Test page. However, the steps you have to do and the output of the test is similar.